We recently talked with Daniel Rubin, ND, FABNO, a nationally recognized naturopathic oncologist and member of PinnacleCare’s Medical Advisory Board, about the benefits of naturopathic oncology and combining this specialized care with conventional cancer treatments. He is Co-Founder and Medical Director of Naturopathic Specialists, LLC, in Scottsdale, AZ and treats patients in all 50 states and 17 countries. Dr. Rubin is an adjunct faculty member in oncology at Southwest College of Naturopathic Medicine and edits peer-reviewed and indexed medical journals. Additionally, Dr. Rubin was the founding President of the Oncology Association of Naturopathic Physicians and founding Vice Chair of the American Board of Naturopathic Oncology Board of Medical Examiners. He earned his Doctor of Naturopathic Medicine degree at Southwest College of Naturopathic Medicine, where he also completed his residency. Dr. Rubin is a fellow of the American Board of Naturopathic Oncology. Q: What is naturopathic oncology? Daniel Rubin, ND, FABNO (DR): It’s the application of the six guiding principles of naturopathic medicine to the treatment of people who have been diagnosed with cancer. Those principles focus on choosing the least invasive, least toxic, and most effective treatments; helping the body to heal itself; identifying and removing the underlying causes of disease; teaching and empowering patients to facilitate their healing and improve their health; treating the whole person, not just the disease; and focusing on wellness and the prevention of disease. Naturopathic oncologists use a variety of different treatment modalities, including botanical medicine, clinical nutrition, physical medicine, mind-body medicine, traditional Chinese medicine, homeopathy, vitamins and supplements, and intravenous therapy. There are no physician assistants or nurse practioners in the field of naturopathic oncology; all care is provided by physicians who have the highest level of training and an extensive understanding of non-conventional therapeutics. Most board certified naturopathic oncologists have a good general understanding of conventional oncology, which promotes thoughtful communication between the patient’s treating physicians and provides a great platform for integrative medicine. Q: How does a naturopathic oncologist work with conventional medical, surgical, and radiation oncologists? DR: A large percentage of the patients I see are undergoing conventional cancer treatment, whether that’s surgery, radiation, chemotherapy, and/or treatment with biologic medications. These treatments can often have adverse side effects. Naturopathic oncology can help support patients by mitigating these side effects and helping patients stay healthier during and after treatment. We can help patients reduce nausea, improve their appetite, maintain their strength, and improve their quality of life and ability to take part in their regular activities. It can also reduce the need for patients to delay treatment because the side effects have become too severe. Conventional medicine is very good at killing cancer cells, but less effective at preventing their return and keeping the patient healthy during treatment. That’s what naturopathic oncology offers patients, so when we co-manage cancer care, patients get the best of both approaches for better outcomes and better overall health during and after treatment. Unless you nurture health, it goes away and it takes a long time to restore it. We also have programs for people who are unable to tolerate or undergo conventional therapy. People in this situation really require the input of a specialist like myself or else they would go untreated. Q: What qualifications should people look for in a naturopathic oncologist? DR: Fellowship from the American Board of Naturopathic Oncology guarantees that a physician has either completed a specialized two-year residency in naturopathic oncology or been in practice for five years, with two years focused on the practice of naturopathic oncology, spent the required number of hours treating patients, published at least two cases in peer-reviewed journals, or written and had five cases approved by the board. After completing the residency or meeting the alternate requirement, candidates sit for a rigorous exam. Those who pass become board-certified fellows. This process protects patients and offers them safe choices for their care. I’m a strong believer in specialization in medical training and care. A specialist can push the envelope and create improvements in diagnosis and treatments that lead to a higher level of care and a better experience for patients. 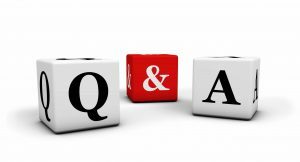 Q: What questions should someone ask before choosing a naturopathic oncologist? DR: Find out what communication with the physician will be like. Many patients have questions that come up after they meet with their physician. Some offices will not answer these questions outside of a formal consult, which means that the patient has to wait to get that question answered. It’s wise to ask if questions that arise can be answered by staff who can consult with the physician. Some questions will require a formal meeting, but some can be answered outside of scheduled consults. Ask whether they are willing to work in an integrative partnership with your other physicians if you’re receiving conventional cancer treatment. Find out what level of experience they have treating the specific type of cancer you’ve been diagnosed with. It’s also important that you feel comfortable with your naturopathic oncologist, as it is with any physician. An open, supportive relationship and good communication are keys to successful treatment.